As the plane climbed, oxygen masks got deployed from overhead compartments and the crew announced that the flight would return to Mumbai, triggering panic among some passengers. Mumbai-based professional Prashant Sharma had never realised flying could be "so terrifying" until his Thursday morning flight to Jaipur. There were screaming and cries and many of his co-passengers suffered nose and ear bleeding as the crew of the Jet Airways flight "forgot" to turn on a switch that controls cabin air pressure. According to 39-year-old Sharma, who was on an official trip, the terrifying experience began 5-10 minutes into the flight. As the plane climbed, oxygen masks got deployed from overhead compartments and the crew announced that the flight would return to Mumbai, triggering panic among some passengers. "I was sitting on an aisle seat when suddenly air pressure in the cabin dropped and oxygen masks came down. I saw a passenger sitting next to me bleeding from nose. Several others complained of extreme pain in their ears," Sharma told PTI after he landed in Jaipur in an alternative flight. "The crew announced that the plane will return...It then circled overhead for around half-an-hour before landing. There was no announcement (related to the problem) from the crew," said another passenger. Darshak Hati, who shot a video on board and posted it on social media, narrated a similar story. "I hope that such a situation never occur in the future. There was no response in the first flight that took off from Mumbai. Cabin crew just regretted the inconvenience and delay in the alternative flight," Hathi said at the Jaipur airport.There were 166 passengers and five crew members on board flight 9W 697 that took off from Mumbai to Jaipur. "During a climb, the crew forgot to select bleed switch due to which cabin pressurisation could not be maintained. As a result, oxygen masks got deployed," the official at aviation regulator, Directorate General of Civil Aviation (DGCA), said. 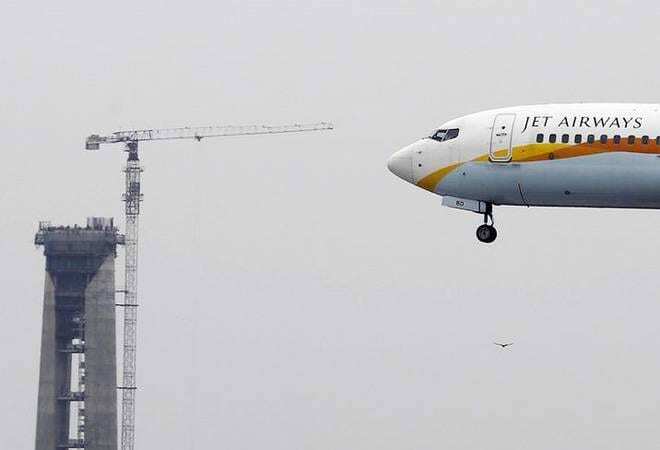 The Boeing 737 aircraft returned to Mumbai due to "loss of cabin pressure" and the pilots have been taken off duty pending investigation, a Jet Airways spokesperson said. Citing initial information, the official said a few passengers have nose bleeding. "Out of 166 passengers on board, 30 passengers are affected... some have nose bleeding, few have ear bleeding and some are complaining of a headache," he added.